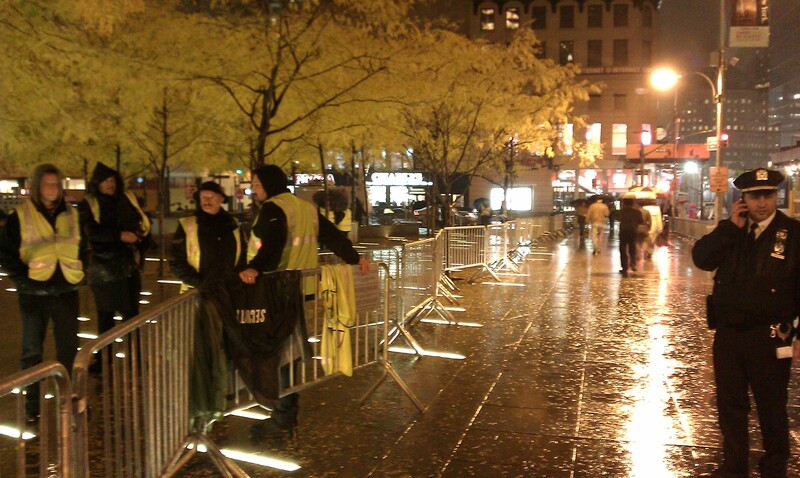 At the request of our Middle East correspondent, Ben Walker, The Velvet Rocket staff braved the rain and foul weather to explore the aftermath of the New York Police Department’s eviction of the Occupy Wall Street protesters at Manhattan’s Zuccotti Park. 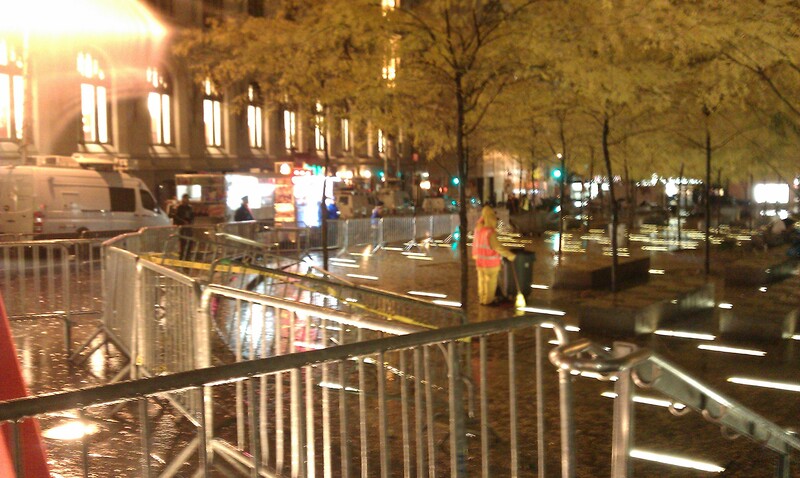 So, where did the Occupy Wall Street protesters go? 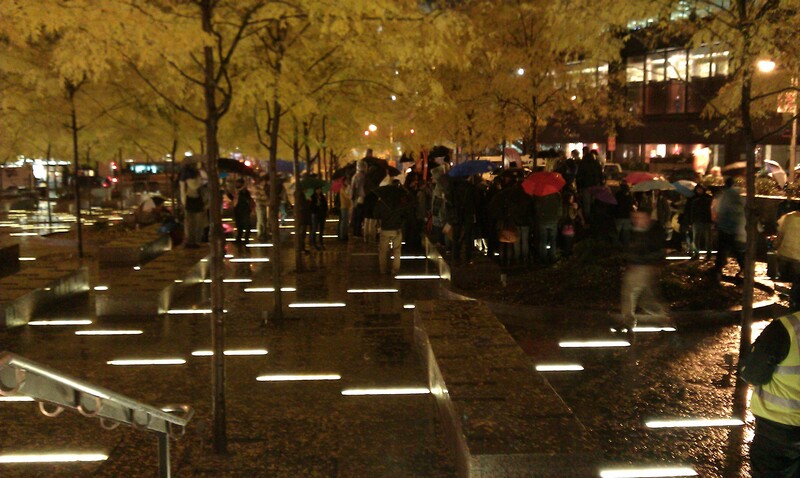 Some could be seen taking shelter in nearby doorways, staring numbly out at the rain and passersby. I saw others sleeping in the nearby McDonald’s and Starbucks – popular destinations of the protesters over the past weeks due to the abundant electrical outlets that were put to use charging mobile phones and computers… But, sleeping in Starbucks is a far cry from the euphoric talk even as recently as last week of “revolution” and “radically” restructuring the current economic system. For both protesters and observers, there seem to be far more questions than answers right now. Without a place to sleep, will the crowd disperse? Without a geographic center, will people still be able to effectively organize? 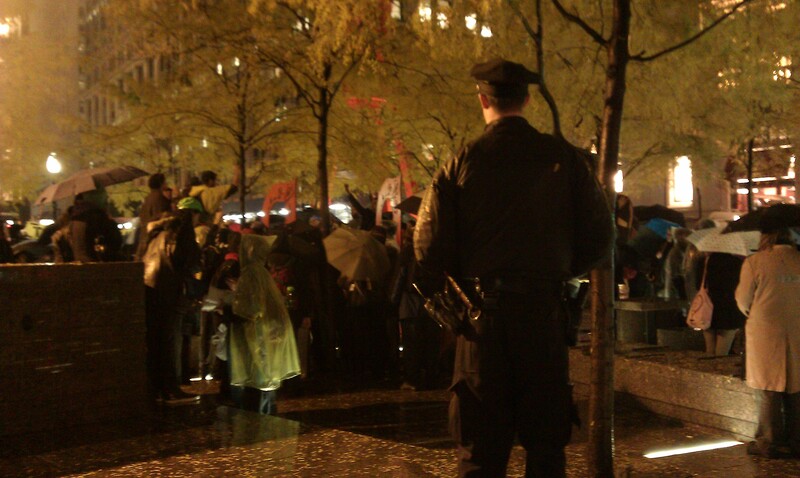 Will the occupiers retake the park or another space? Several days ago, The Velvet Rocket staff overheard a protester asking his mother to “join the revolution” by helping to research squatting laws in New York with the hope of taking over abandoned buildings in Manhattan (Amusingly, he kept repeating to his mother the need for secrecy and “operational security” on this research subject. However, as he was situated in a noisy location, this strategy was being shouted into the phone for the benefit of all those within a radius of twenty feet). Will this squatting effort succeed? 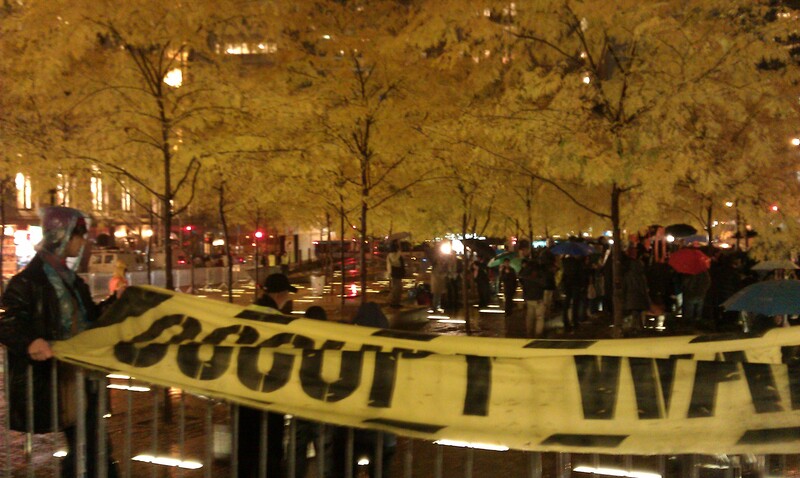 And if not, will the loss of Zuccotti — the birthplace of the movement — prove to be a mortal blow? Or will the still unresolved issues that initially galvanized Occupy Wall Street, such as income inequality, keep the movement alive for as long as the economy remains sluggish? 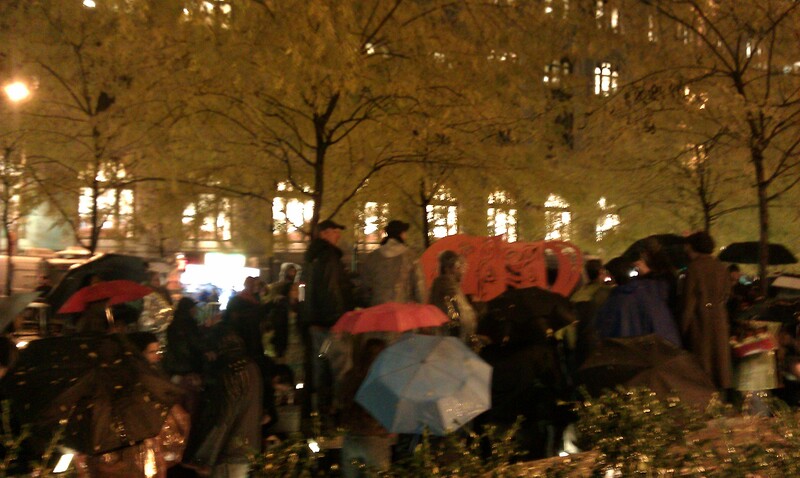 Tags: Ben Walker, New York, Occupy Wall Street, Wall Street, Zuccotti Park. Bookmark the permalink. I’m sure their mothers have missed tucking them in every night for the last two months, so getting their illiterate little imbeciles back home safely will be a nice early Christmas present for them. “illiterate little imbeciles” Not everybody is blessed with your natural wit. And charm, while we’re at it. To put these numbers in perspective, 1,806 arrests resulted from the four-day Republic National Convention in New York City in 2004. The total security cost, according to a report by ABC News “was $80 million, which included overtime for NYPD officers.” While the federal government picked up the lion’s share of the costs, the mayor’s office reported that the city ended up paying about $8 million of the tab.